The ubiquitous shopska salad is a quintessential feature on many dining tables throughout the Balkans and a source of hot dispute among certain nations, which is a pretty strange thing for a plate of raw vegetables to be but that’s the politics of food for you. Starting life relatively late as a 1960s invention, the shopska is about as simple as a salad can be, the main ingredients being nothing more than diced and salted tomatoes and cucumber with optional onion, black olives and red pepper to which olive oil is added and the whole thing finally blanketed in lavish amounts of sirene, a salty white brine cheese that transforms an otherwise simple dish into a banquet, especially if you order it with lashings of fresh white bread. Perfect for vegetarians and sublime with grilled meat, of all the fabulous salads available in Macedonia, we keep returning to the shopska because it never disappoints and we really don’t care about politics when we’re eating. 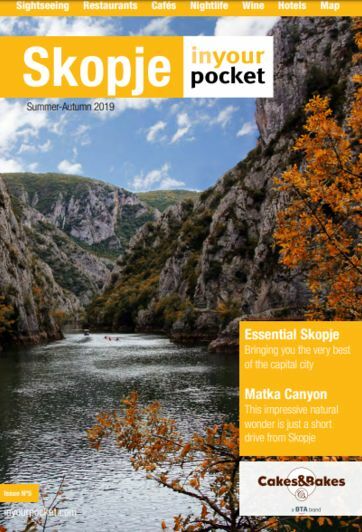 Shopska is available in most restaurants in Skopje and around the country in general.